Gucci Mane and Ty Dolla $ign are both living their best lives as of late, with each artist dropping their latest albums in the past month and enjoying a variety of successes. Guwop's project Mr. Davis debuted at No. 1 on the hip-hop charts, with the recently-wed rapper adding to the ongoing celebration by way of dropping off a new visual for the Ty Dolla-assisted track, "Enormous." The visual for the track features artistically edited silhouettes, with each sharing the spotlight amicably as they run through their respective parts alongside beautiful women, luxury cars and dollar bills. Most recently, Ty Dolla's new album dropped this Friday (Oct. 27) with the project featuring a variety of guests including Gucci, Lil Wayne, Future, Wiz Khalifa, Tory Lanez and more. 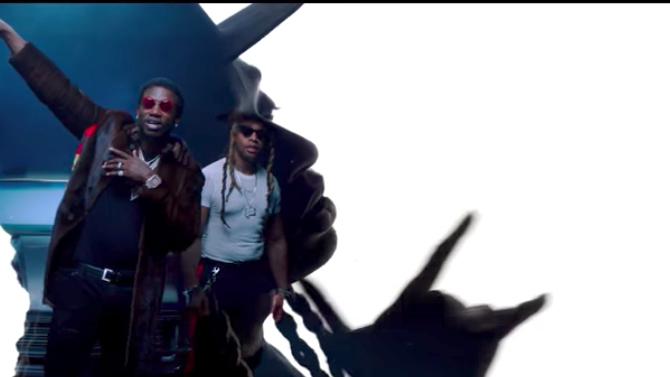 Take a look at the swanky visual for Gucci Mane and Ty Dolla $ign's collaborative track, "Enormous," below. 24Hrs & Ty Dolla $ign release "Lit"